The frequency of different vasculitides and their characteristics vary among different regions. The identification of geographic disparities of disease phenotypes helps the development of international criteria, allowing the classification of patients of different ethnicities. This study aimed to describe the frequency, characteristics, course, response to treatment, and outcome of the different adulthood vasculitides in Egypt. This was a multicenter study in which the medical records of adult Egyptian patients diagnosed with vasculitis between 2002 and 2018 were retrospectively reviewed. The most frequent vasculitides in Egypt were Behçet’s disease (76%), hepatitis C virus vasculitis (13.9%), and granulomatosis with polyangiitis (3.9%). Most patients (73.8%) had a major event at the time of diagnosis. Generalized granulomatosis with polyangiitis was more common than the localized type (90% versus 10%, respectively). The aortic arch and its branches were the most common affected sites of Takayasu arteritis. Of vasculitides, Behçet’s disease and giant cell arteritis were associated with the greatest rates of relapse (62.7% and 33.3%, respectively). Delayed diagnosis and permanent organ damage were reported in 69.9% and 68.9% of patients, respectively. A low mortality rate was noted (1.3%). The most common types of adulthood vasculitides in Egypt are Behçet’s disease, hepatitis C virus vasculitis, and granulomatosis with polyangiitis. Major organ involvement is frequent. Delayed diagnosis and permanent organ damage are common. 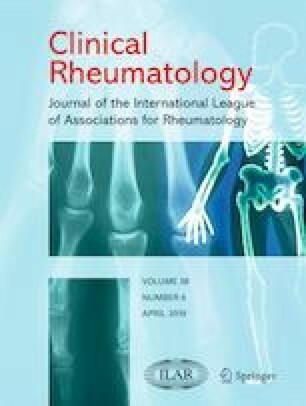 The authors would like to thank Prof Dr. Geilan Mahmoud Abd El-Moniem, Professor of Rheumatology and Clinical Immunology, Cairo University, for reviewing the work and providing valuable advice.